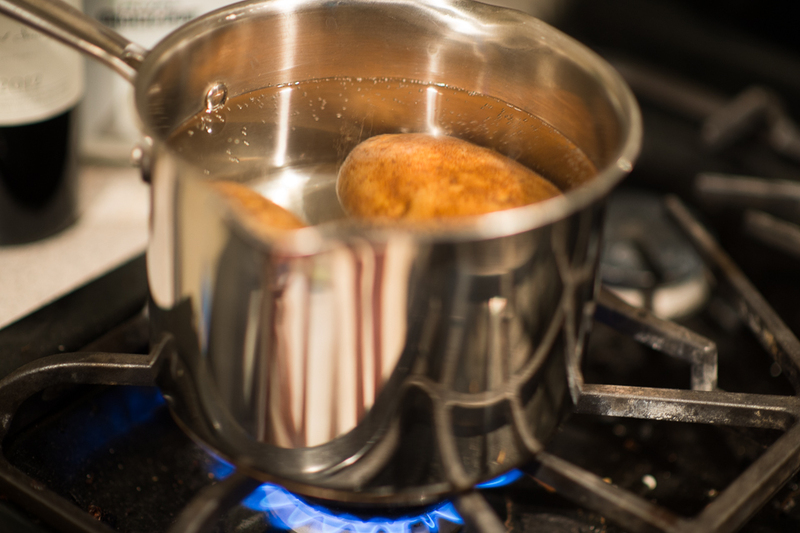 This recipe is modified from a combination of three recipes. 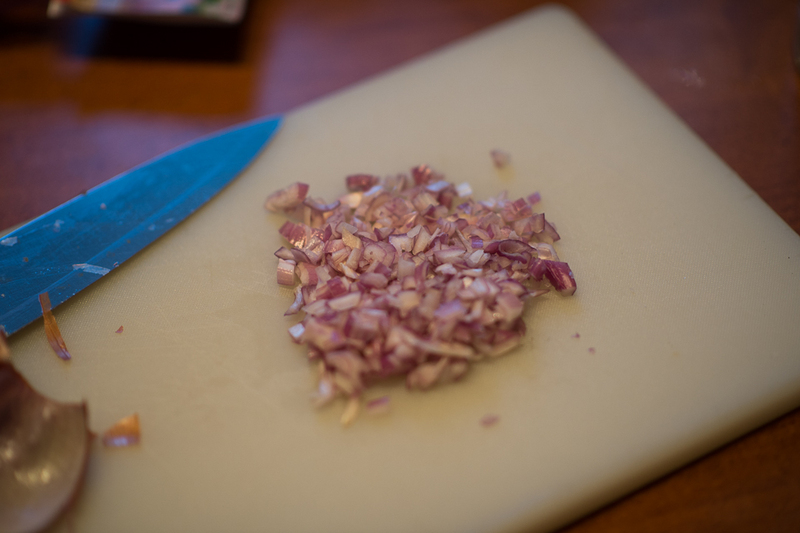 Begin with thick sliced fillets, about 1 and 3/ to 2 inches thick. 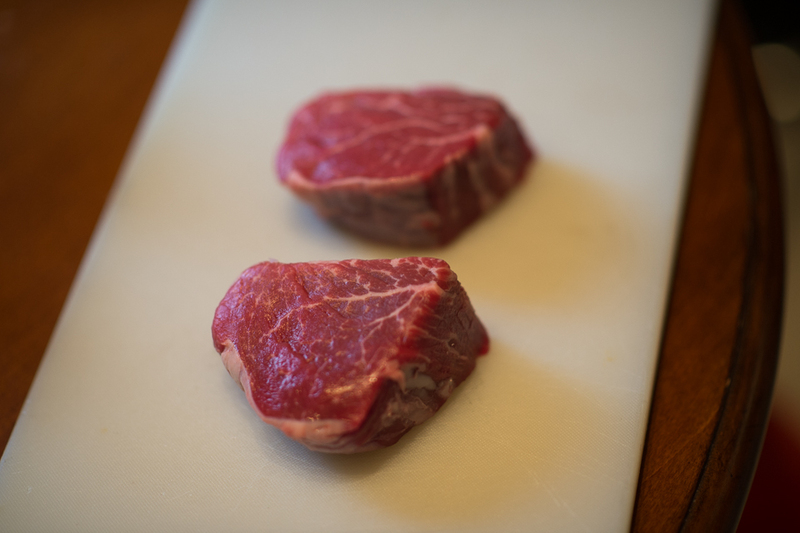 The fillets should be room temperature. 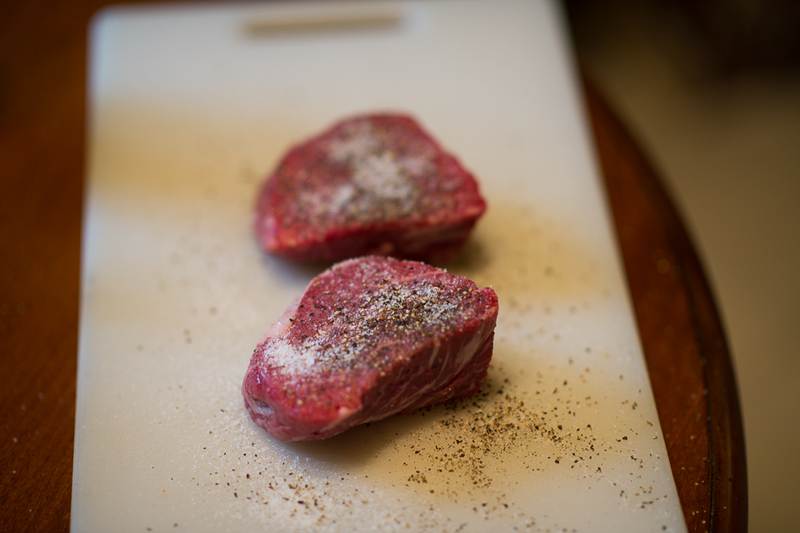 Salt and pepper generously on all sides of the meat. I use fine ground sea salt and fresh ground black pepper. Bring the oven to 250 degrees. 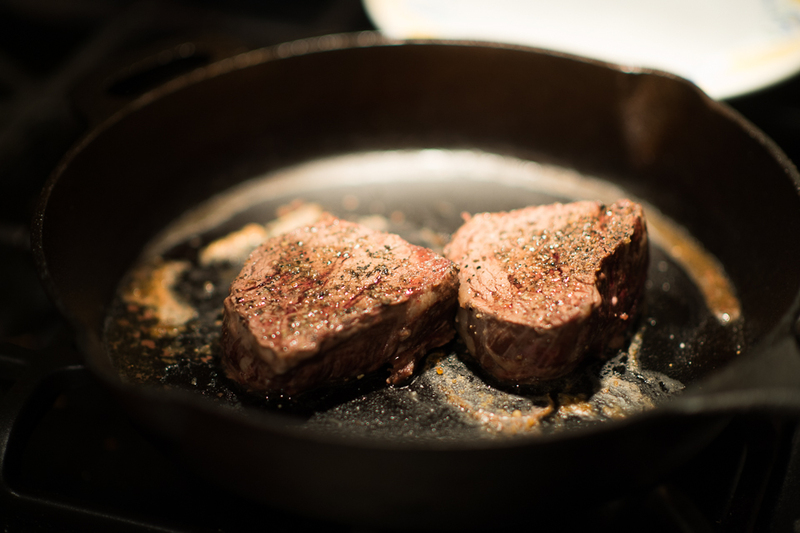 Place the fillets in a dry cast iron skillet and place in the oven for 50 minutes. The end result will cook to medium turning 1 time half way through. 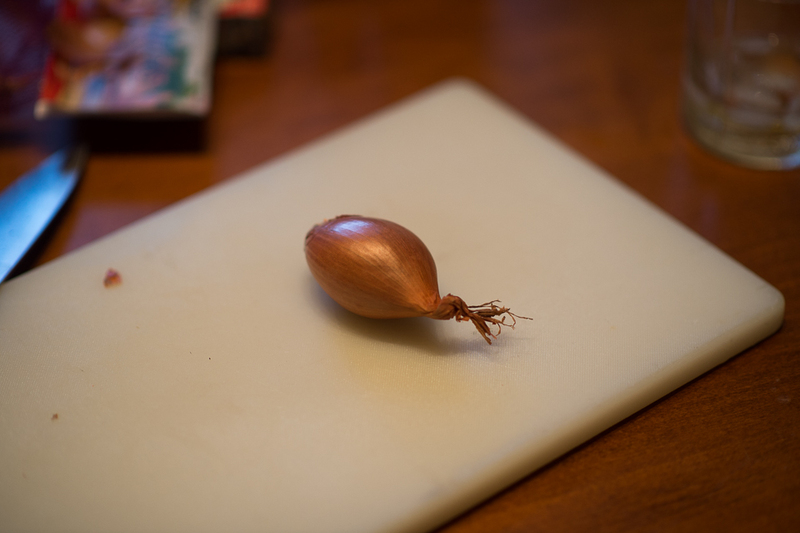 While waiting on the fillets, finely chop a large shallot. 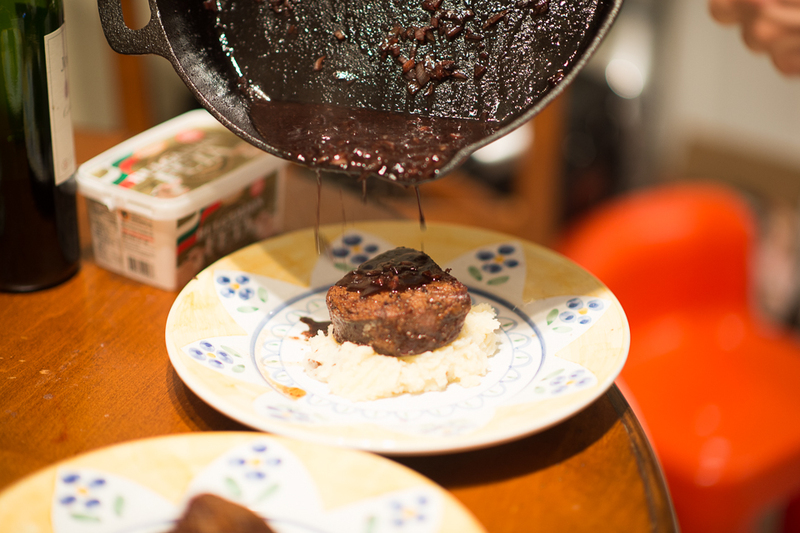 We will serve the fillets with mashed potatoes. Here the fillets have been turned and pulled out of the oven. 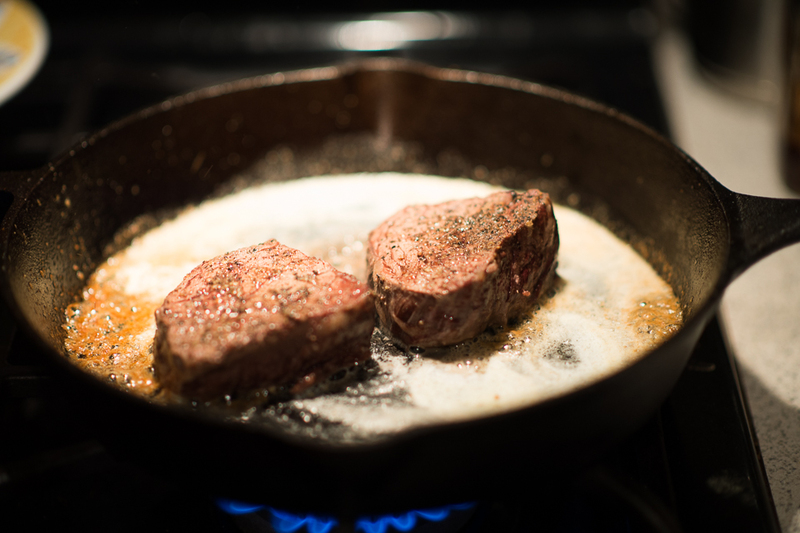 Rest the fillets on the sides of a bowl preventing them from resting in their juices and further cooking. We will use the juice from the bottom of the bowl. Resting will be about 3 minutes. 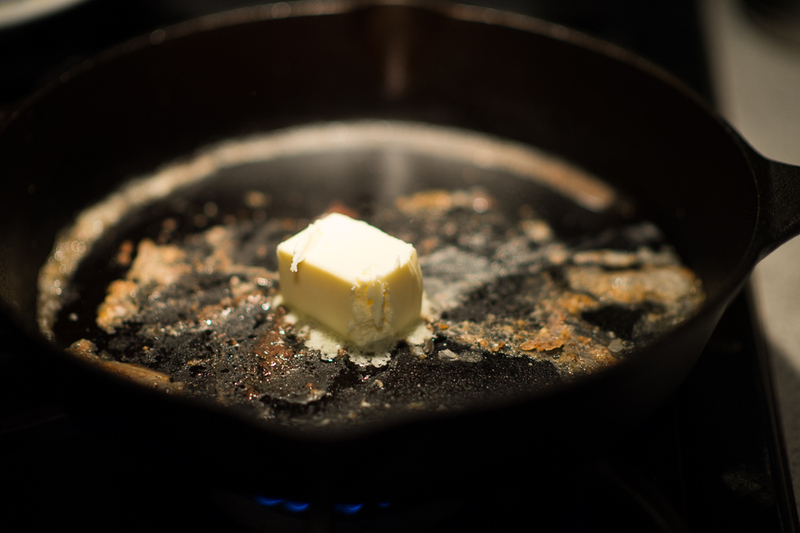 Place the skillet on the stovetop, set to medium and melt 2 tbls salted butter. 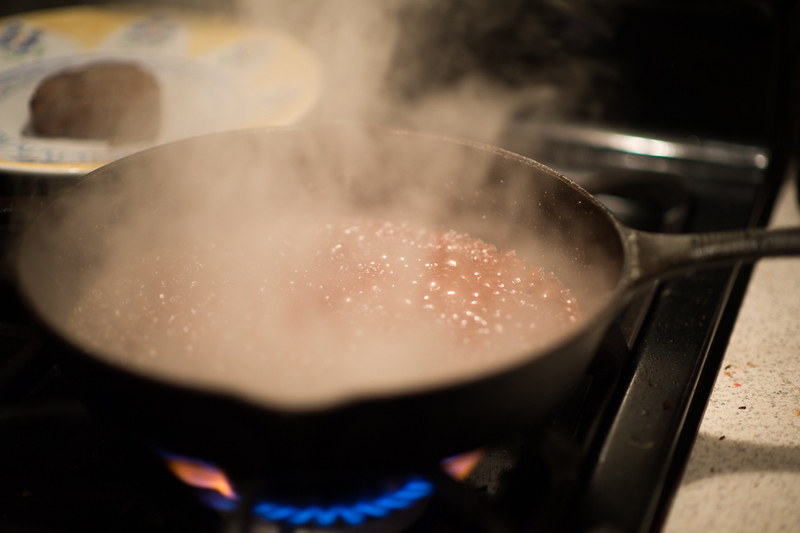 Bring the heat to high, turning the butter to a bubbling caramel color. 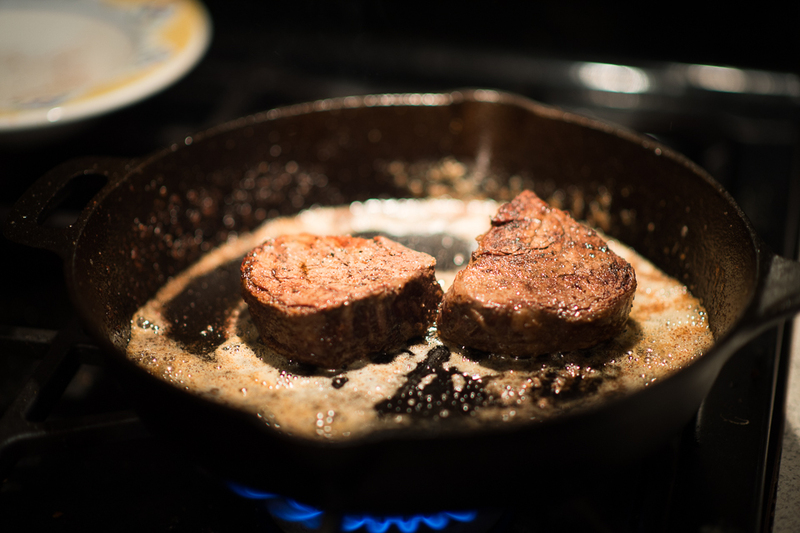 Sear the fillets for 1 minute per side. 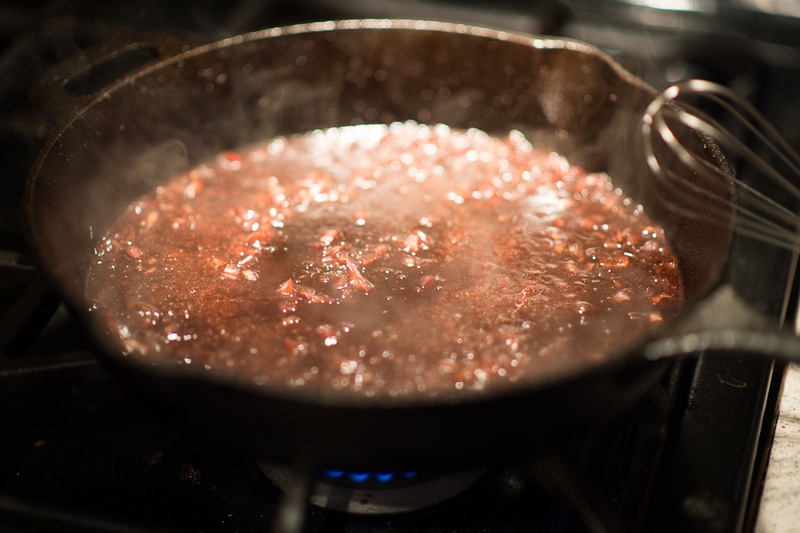 Remove the fillets, pour the juice from the resting bowl into the skillet and add 3/4 cup of red wine. Heat should be high. 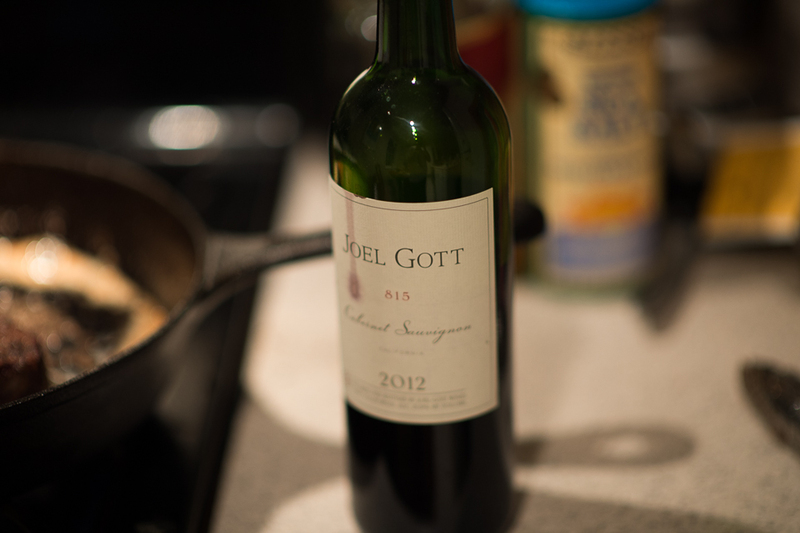 The wine will deglaze the pan and mix with the fat and juices from the steak. 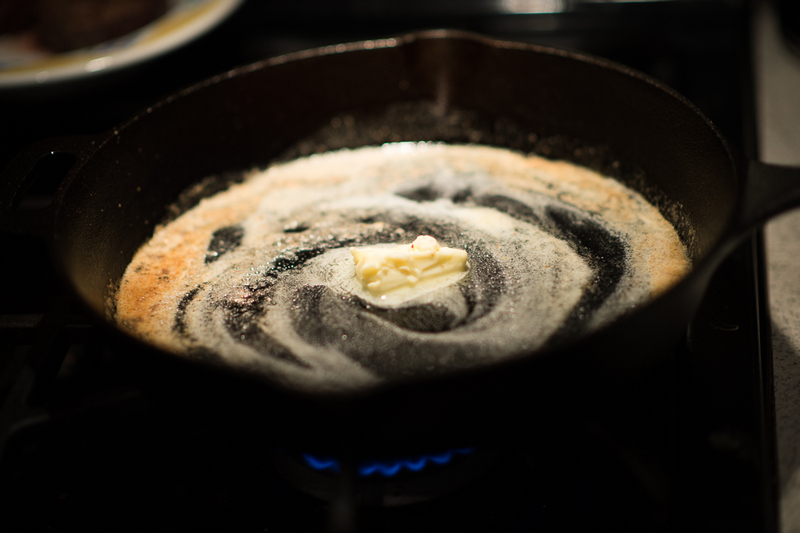 Continue to stir with a whisk reducing the mixture to a roux. 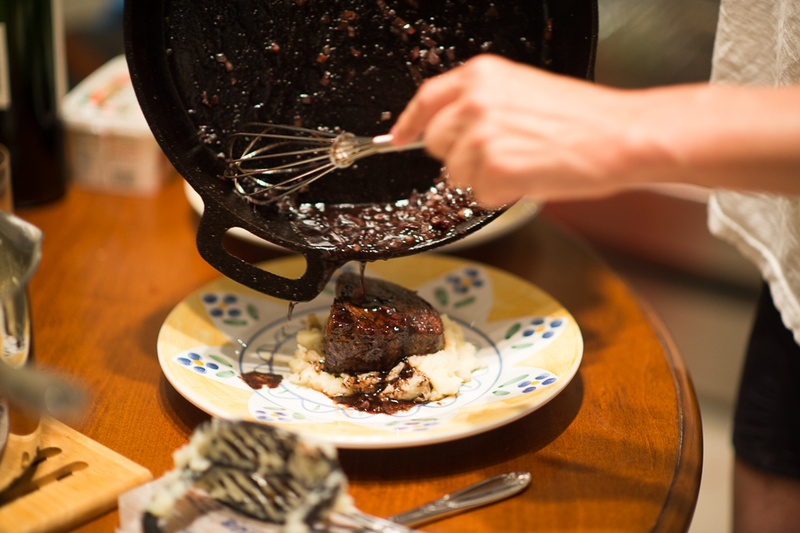 Plate the mashed potatoes and fillet. 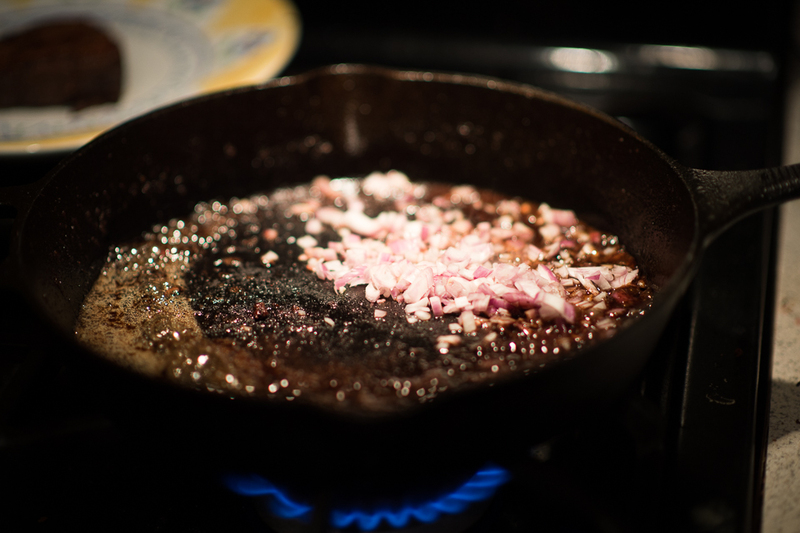 Then, pour on the red wine shallot sauce. 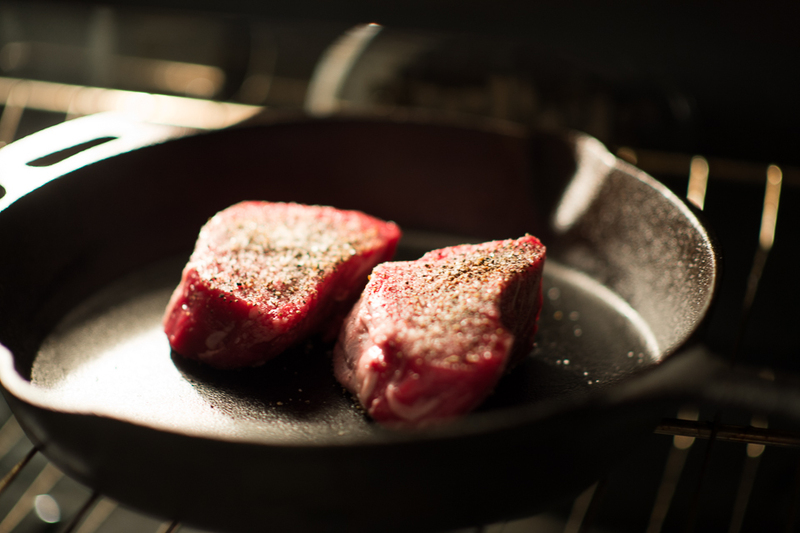 Cooking the fillets in the oven prior to searing will allow for a completely consistent doneness with an exact temperature through the meat. 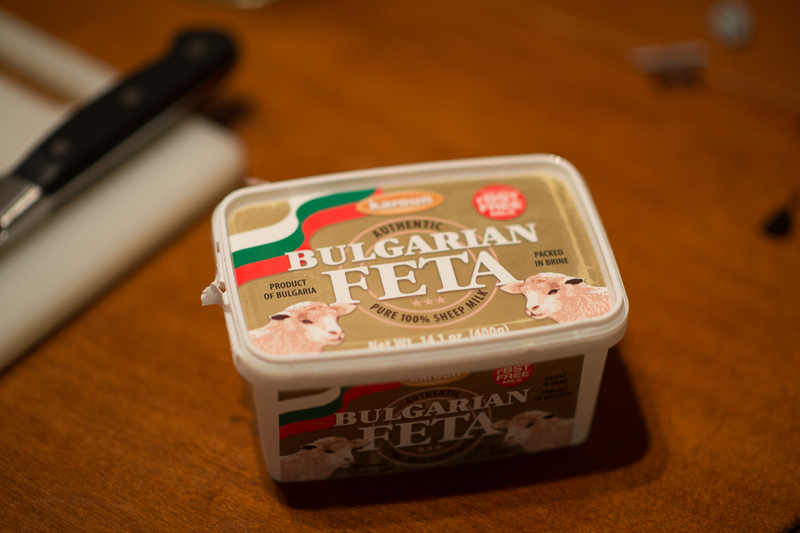 You may choose to add a slice of Bulgarian Feta or Maytag blue cheese.